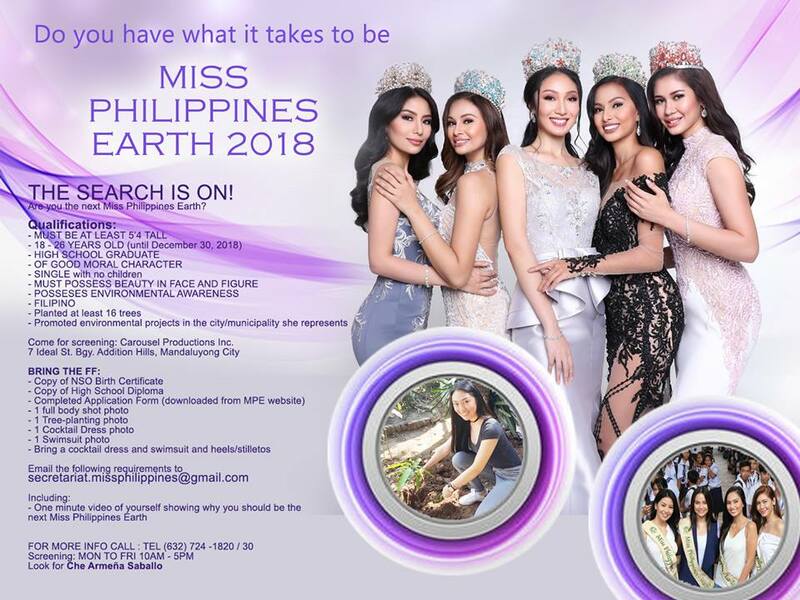 Calling all environmentally-friendly Filipinas all over the world to submit your applications and be the next Miss Philippines Earth queens. 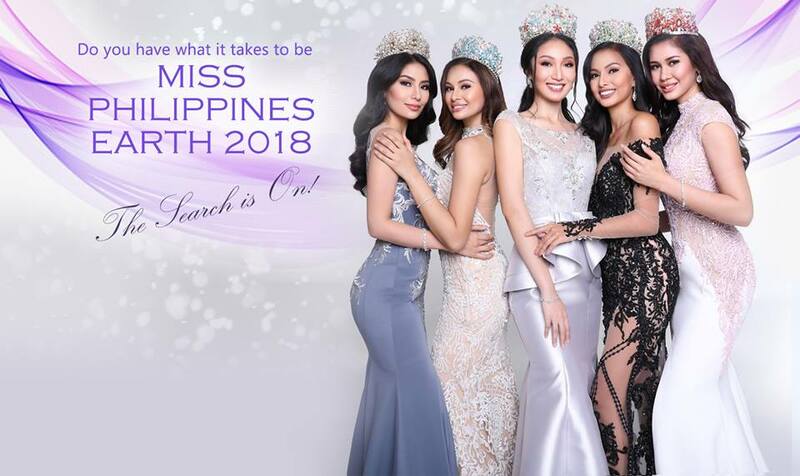 Carousel Productions, Inc., through Miss Philippines Earth's social media, announced that the search is on for the 18th edition of Miss Philippines Earth candidates. The winner of MISS PHILIPPINES-EARTH will serve as the Ambassador to environmental protection campaigns in the country, and represent the Philippines to one of the biggest international beauty competitions - the MISS EARTH Pageant.